If you have enabled PIN on WhatsApp and if you haven’t add an email yet, we recommend you to do that as soon as possible. Adding an email to WhatsApp is not a serious security issue but it is very important for reset your PIN. 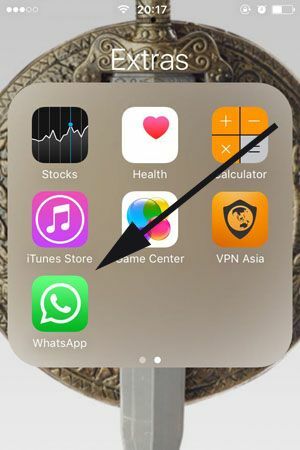 We will tell you how to add an email address to your WhatsApp account on iPhone on this page. You can find the step by step guide with pictures below. Please feel free to ask us if you have any question via commenting at the bottom of this page. 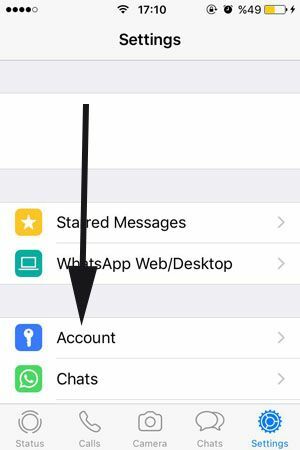 You can do the following steps to add email address to WhatsApp for reset your PIN on iPhone. We recommend you to check each step’s picture. You can find pictures at the below of steps. 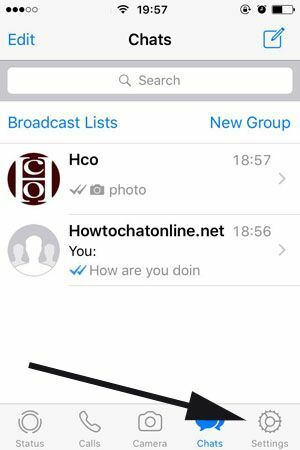 1-) Run WhatsApp Messenger application on your iOS device. 2-) Tap on settings at the main menu of the application as we have shown at the picture below. 3-) Tap on Account at the settings page. 4-) Tap on “Two-Step Verification” option on Account page. Please see the picture below. 5-) Tap on “Add Email Address” Section on the page. 6-) Type your email address to the blank and tap on “Next”. You will need to confirm your email address again and you are done! Now, you have added your email address, if you ever have trouble with recalling your PIN on WhatsApp in the future, you will able to reset your PIN with your email address.